It has been said that it takes a potential buyer eight seconds to decide whether or not they are interested in your home. You want your house to make a good first impression and it needs to start before the buyer even walks in the door. I’ve shown countless houses and typically buyers put offers in on homes based on a feeling. The house feels like home. I have seen over and over buyers pass up on a house that met all of their criteria for a house that didn’t quite fulfill their wish list but it felt like home. It is typical that most sellers think his or her house is worth more than it is. It is important to listen to your Realtor and look at what homes in your area are selling for. Houses typically see the most showing traffic within the first thirty days. 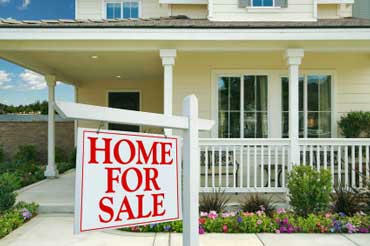 If your home is priced too high, you will miss out on some potential home buyers who are out looking at this time. It’s a good idea to go out with your Realtor before you list your home and see some of the homes for sale in your neighborhood. In this day and age, almost all homebuyers search the internet for their new home. An excellent listing with great pictures can make a huge difference in getting homebuyers to your house. Adding your home to the MLS is your Realtor’s responsibility. But you may be surprised to find out that many Realtors skip out on professional photography to save a little money and take the photos themselves, often times with an I-phone. I see this every day, even on higher priced upscale homes. Ask your Realtor who will be taking the photos. And unless your Realtor is also a photographer, I would insist on professional photos. I would say that the only exception to this is a home that is a fixer upper. Warning, be weary of a Realtor who doesn’t plan to hire a photographer, this may not be the only place he or she plans to cut corners. Keep your landscaping manicured and make sure your grass is green and cut. Paint the front door if it’s faded. Create a good impression before the buyer even walks in the door. Everyone wants a light and bright home. Turn the lights on before each showing. Take excess items off of your kitchen and bathroom countertops. Don’t have too many knick knacks on shelves or tables. You may even want to remove some furniture from your home to make a room look larger. Closets shouldn’t be overstuffed, consider packing up some of your off season clothes or extra jackets in the coat closet. Even storage areas should be neat, organized and not overstuffed. Even a large home can seem like it’s not big enough if it is cluttered. Besides keeping your home clean, do a good “spring cleaning” before you list your home. Have your windows cleaned if they need it. Wash window sills, base boards and blinds. Shampoo the carpet. Sweep the garage. Make your home sparkle! The more personal that your house is, the less likely someone can picture as their own. This doesn’t mean that you need to remove every family photo but family photos should not be seen at every turn. If you have a collection of anything on display, go ahead and pack it up. You may think that your porcelain doll collection in the living room is something to be admired but most homebuyers will not. If possible, remove your pets. If that is not possible, at least do your best to make sure there is no pet oder in your home. Be as flexible as possible for showings. If you decline a showing, that buyer may not reschedule. Buyers may be in from out of town or have a busy schedule. If you decline a showing, that person may not come another time. You may not need to completely renovate your kitchen. But consider some small things, like painting. New paint can really brighten up a home. Maybe replace some dated light fixtures. Look for small inexpensive ways to make your home fresh. To sell your Denver area home, call Courtney at 720-476-0370. Courtney Murphy is a Realtor serving the entire Denver metro area, including Castle Rock, Highlands Ranch and Parker.